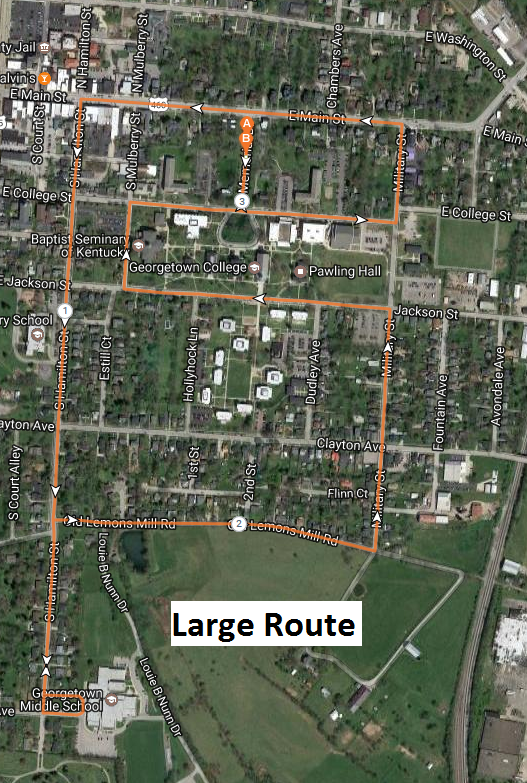 The School House Champions 5K course runs through downtown Georgetown, Kentucky, and Georgetown College. Our course starts and ends (points A and B) on Memorial Drive at Georgetown College and runs on Main Street. Follow the arrows from point A and back to point B. Miles are marked 1, 2 and 3.